Welcome to the South Derbyshire Badger Group. We are a small group affiliated to Derbyshire Wildlife Trust and members of the Badger Trust formerly the National Federation of Badger Groups. Our group is dedicated to the protection of local Badgers and their setts. 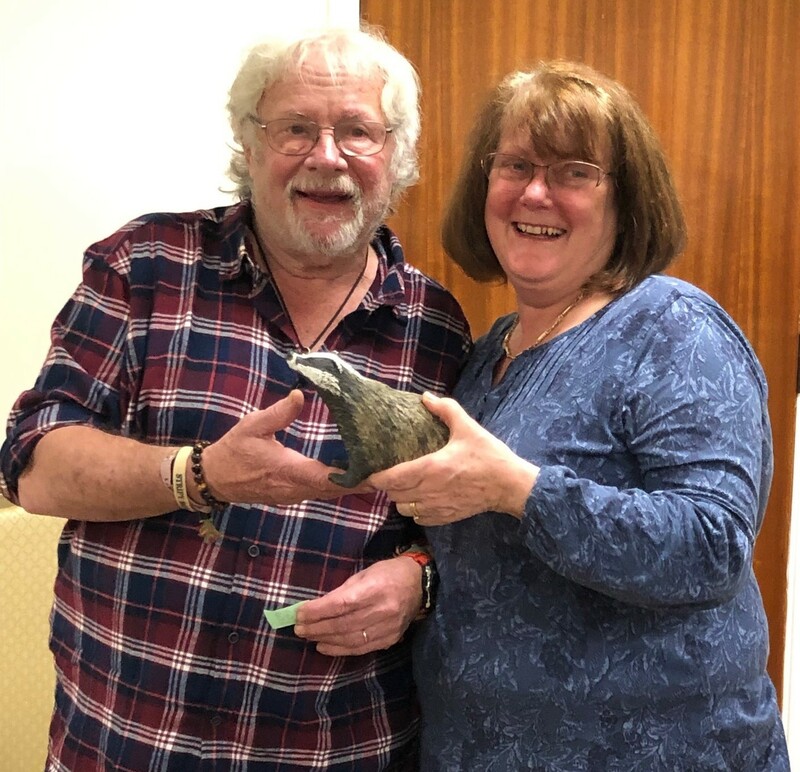 Please look at the site and if you can, join us at one of our meetings and meet other people who care about badgers and improve your knowledge of them. Richard Thornewill, Chairman. Meetings at TICKNALL VILLAGE HALL. Ingleby Lane. Ticknall. Derbyshire. DE73 7JW. Starts at 7.30 pm, All welcome, Members £2, Non Members £3, includes refreshment. To work together to protect and ensure the Badgers survival both now and in the future. You can help by Joining our group . It will only cost £7 for single membership or £12 for family Membership. Follow the link print out the form fill it in and return it with your payment to the address shown. We attend various events during the Summer if you could come along to help on our stall or buy something that would be great. 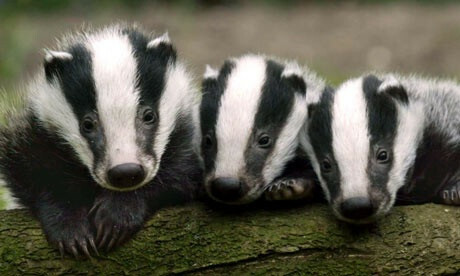 The Badger is one of Britons largest and possibly best loved mammals. With their distinctive black and white striped faces and shy, gentle nature, they certainly hold appeal for most people yet few will have been lucky enough to have actually seen a badger in its natural surroundings. One of the reasons for this is that centuries of maltreatment have caused the Badger to become a secretive, nocturnal creature that normally tries to avoid man. By nature, they are extremely clean and intelligent animals which live together in well ordered social groups, each with its own distinct territory. Their underground homes, or setts, are an amazing labyrinth of tunnels and chambers, often covering a large area. Badgers have been present in Britain for thousands of years their bones have been found alongside those of cave bear and elk. They have survived while animals such as wild boar, wolves and bears have become extinct. Yet , today, the species faces many pressures, from habitat destruction to illegal persecution. 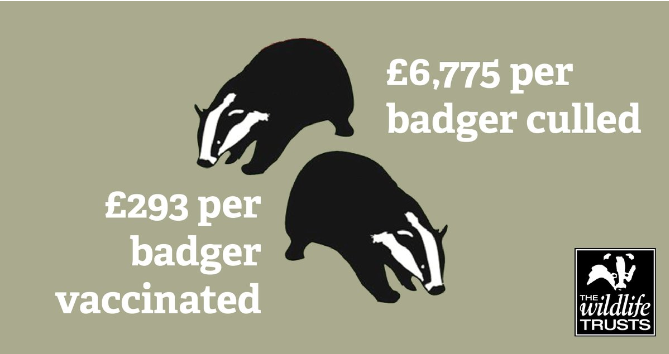 In South Derbyshire, as in many other areas the Badger is under threat. Beetles, snails and wasps to fruit and grass. They do no real harm to anyone and landowners generally welcome them. Dogs are put down a sett to corner the badger and then men dig down from above. The badger is either killed or removed for baiting. A pit is dug out and the badger often handicapped by having its jaws or legs broken, its eyes poked out and its claws and teeth pulled out is put in to fight a succession of dogs. The badger inevitably dies and the dogs often sustain serious injuries or are killed. One of the most cruel ways of trapping, with a slow torturous death. The animal is ensnared with a noose of wires from which it cannot escape. Lurcher dogs and spotlights are used to chase and corner badgers in open fields, again ending in capture and death. Culling of Badgers against all scientific advice to apease The NFU over Bovine TB. (c) SouthDerbyshireBadgerGoup.co.uk. All rights reserved. | Website content by A J Stone | Background by fotogrph.com | Design by FreeCSSTemplates.org.